Hang these fun sunburst pom poms for a party – they made the perfect backdrop for the dessert table! 1. 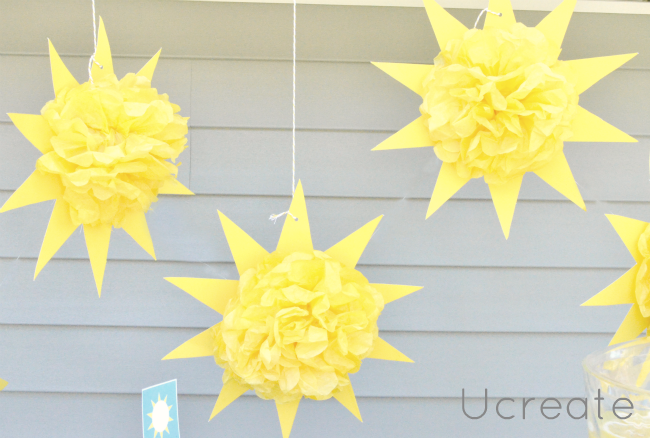 Cut out a sun on the yellow poster board or use your digital cutting machine large enough for a pom pom to fit in the center. 2. Trim 5 pieces of tissue paper the same diameter as the center of your sun. I was able to cut two pom poms out of one section of tissue paper. 3. 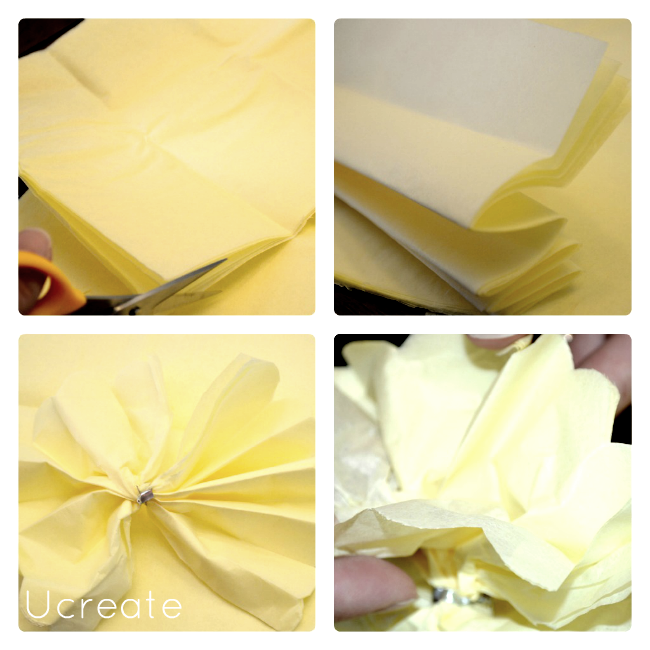 Fold all 5 pieces of tissue paper 1” with accordion folds. Then cut (rounding off) each end with the paper still folded together. 4. In the middle of the paper, add a twist tie as tight as possible. 5. Carefully pull one tissue paper at a time, to fluff out the pom pom. 6. Tape the pom pom to the middle of the sun. Punch a hole in one sun ray. 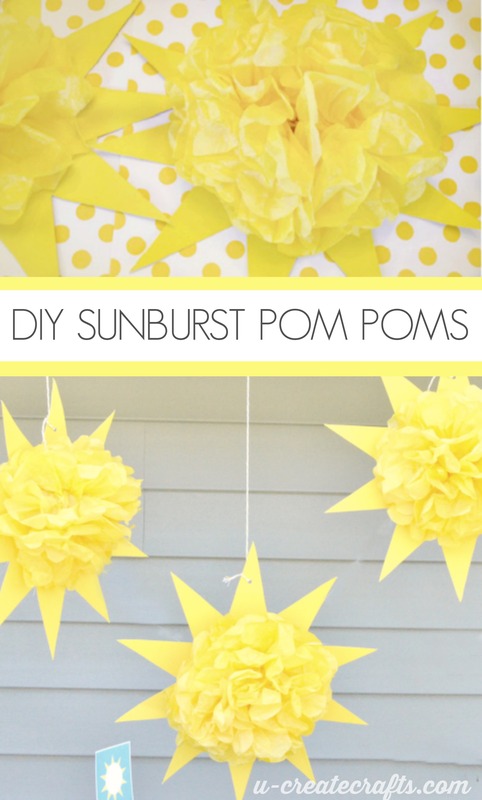 Tie bakers twine or string to the sun and then hang your Sunburst Pom Poms!